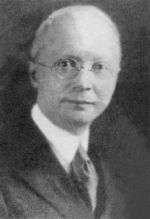 Dr. Edward H. Hume (1876–1957) devoted much of his long and vigorous life to working in China and elsewhere in the cause of health care and medical training. He graduated from Yale College in 1897, and received his medical degree four years later from Johns Hopkins University. He worked in India from 1903 to 1905 before going to China, where he founded the Xiangya School of Medicine and Xiangya Hospital (previously known as the Hsiang-ya Medical School and Hospital) under the auspices of the Yale-China Association (previously named Yale-in-China) in Changsha. Dr. Hume served as President of the Colleges of Yale-in-China from 1923 to 1927. He returned to the United States but was recalled to China in 1934 to work for several years in liaison with the Chinese National Health Administration. From 1937 until his retirement, Dr. Hume directed the Christian Medical Council for Overseas Work in New York City, and wrote a number of books about his medical work in China, including The Chinese Way in Medicine (Baltimore: The Johns Hopkins Press, 1940) and Doctors East, Doctors West; an American Physician’s Life in China (New York,: Norton, 1946). Shortly after his death in 1957, funds from colleagues, friends, and family enabled the establishment of the Edward H. Hume Memorial Lectureship to bring to Yale eminent scholars of East Asian studies. What Drives Chinese Foreign Policy: Vulnerability or Ambition? Political Development: Is There a Chinese Approach? Why the Scientific Revolution Did Not Take Place in China or Did It?